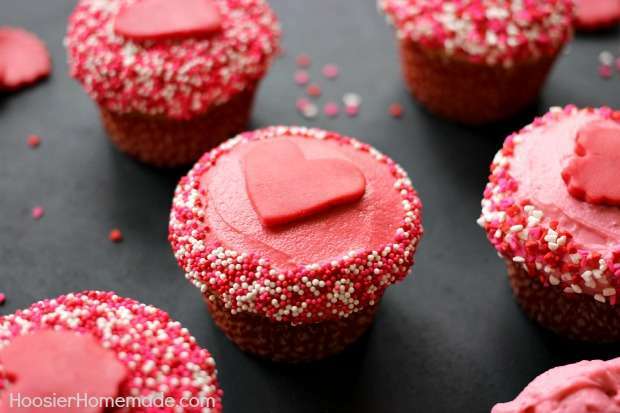 10 Adorable Valentine’s Day Cupcake Ideas! 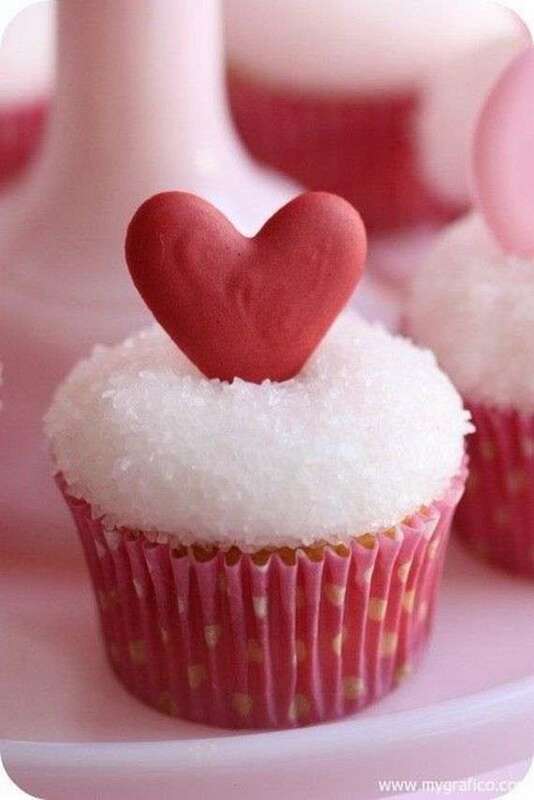 Valentine’s Day Cupcakes, a perfect thing to add to your meal as a dessert. 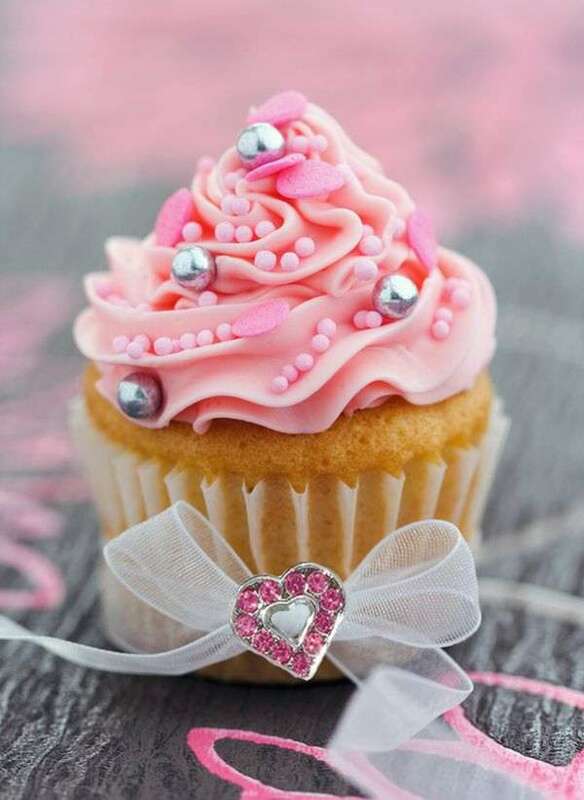 Cupcakes are always so adorable! You can make them as a perfect treat for your loved one on this special day. 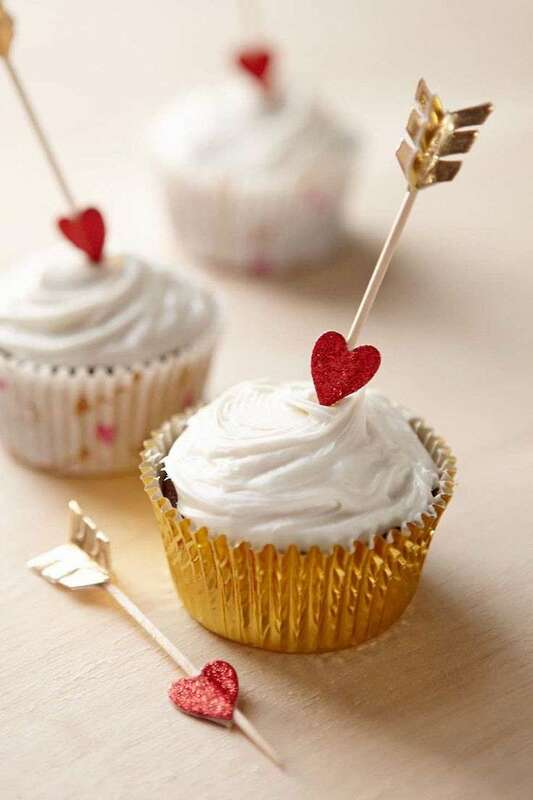 So when you are thinking of a nice romantic dinner with your love of life, you can have these delicious and adorable cupcakes on your menu to end the dinner session with a romantic touch. 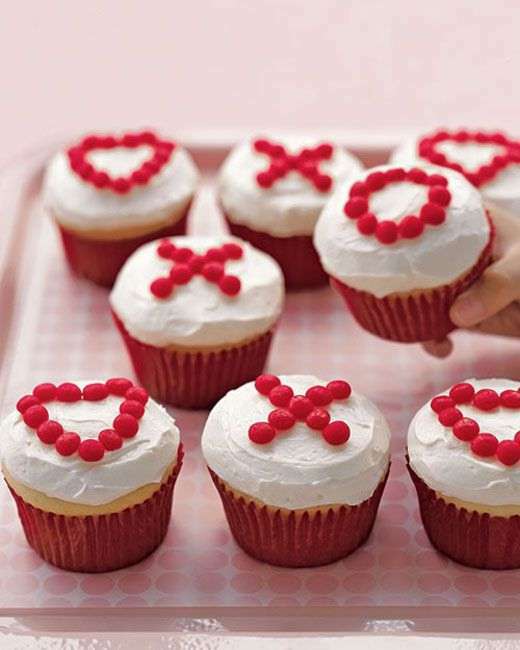 Valentine’s Day cupcakes can be made in many different ways. The main purpose of these cupcakes are that they will send some message through the colors or any symbol. Red and pink are the best colors for this special day so your can work on the colors to make a perfect batch of cupcakes. You can make the cupcakes with your favorite flavors and make a perfect combination with the frosting. 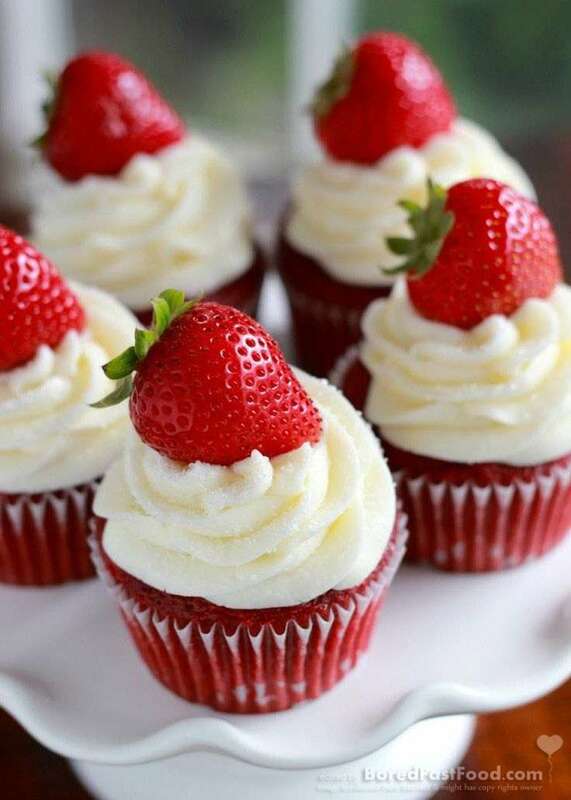 To make these cupcakes, you can just follow the regular recipes you follow for making any cupcake. The only difference you will need to do is for the frosting. 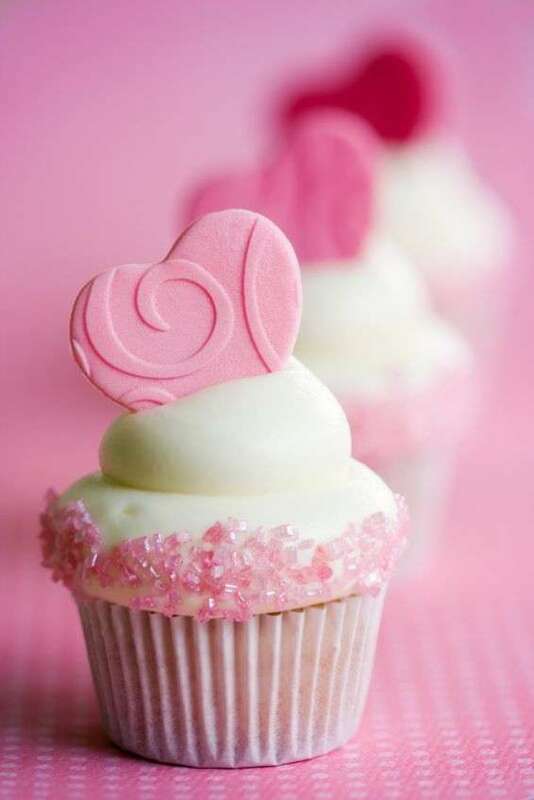 For example, if you make a vanilla cupcake, you can have strawberry flavored frosting with heart or sugar sprinkles. Making a red velvet cake will require you to add some vanilla frosting. You can add heart or any other shapes by using melted chocolate. You can use your imagination to make the best out of these cupcakes. 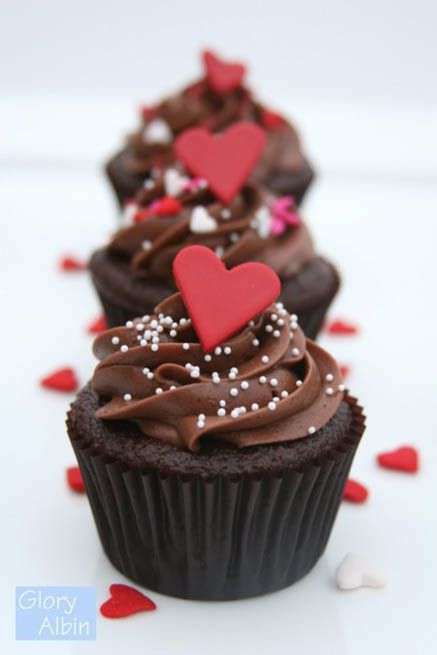 So let’s get started with this easy recipe to make a perfect batch of Valentine’s Day cupcakes. You will need ½ cup butter, 1 ½ cups white sugar, 2 eggs, 1 cup buttermilk, 1 fluid ounce red food coloring, 1 tsp vanilla extract and 1 ½ tsp baking soda. You will also need 1 tbsp distilled white vinegar, 2 cups flour, 1/3 cup unsweetened cocoa powder and 1 tsp salt. You will need 30 minutes to prepare everything and 20 minutes to make it. Start with preheating the oven to 350 degrees and then grease two 12 cup muffin pans or line with 20 paper baking cups. In a large bowl, beat the butter and sugar with an electric mixer until light and fluffy. Mix in the eggs, buttermilk, red food coloring and vanilla. Stir in the baking soda and vinegar. Combine the flour, cocoa powder and salt. Stir into the batter just until blended. Spoon the batter into the prepared cups by dividing evenly. Bake in the preheated oven until the tops spring back when lightly presses which will take no more than 20 to 25 minutes. Cool in the pan set oven a wire rack. When cool, arrange the cupcakes on a serving platter and frost with desired frosting. You can use whipped cream for an easy get away or add any flavored extract to make it as you want it to be. Adding berries such as strawberry or raspberries and drizzling chocolate on top also can give a nice touch. Sprinkles can also do a great job! To add text such as any message, you can use chocolate melt and use a piping bag. Add the smallest nozzle and place a wax paper to write down what you want to write. Place it in the fridge and let it cool. When the chocolate will get cold and set properly, you can carefully pick them of the paper and lace them on the frosting. 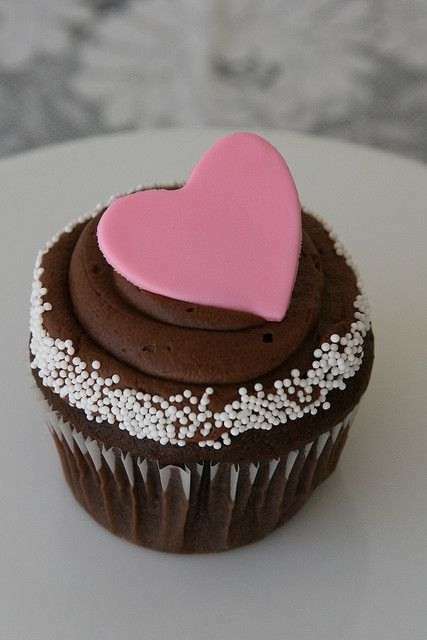 In this way, you can write anything you want and place them on the cupcakes to send the message to your loved one. You can also make a mix and match in a batch of cupcakes. Some can have sprinkles and the others can be with text messages. 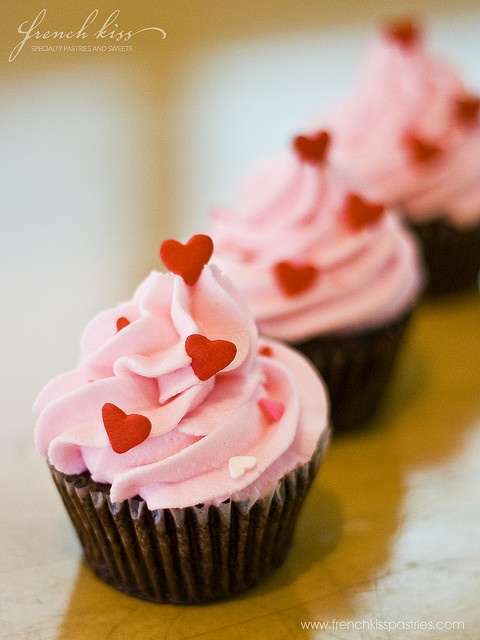 So this is how you can make these adorable Valentine’s Day cupcakes! When are you going to make some for this special day?